Hard to say who hates chores more – the kids who’d prefer doing anything other than what they’re told or the parents at their wits end after trying unsuccessfully to have their children pitch in. Since it takes one to know one, the startup ChoreMonster looks to take the fright out of our hideous routine tasks and provide a truce. If for no better reason than to pass the torch and ensure the future generation has their chance to say the same thing: “Man, kids are lucky today.” I lost all of my chore wars. Usually the promise of having to do something even more unpleasant (clean the attic, where of course the worst monsters and giant insects lived) forced me to surrender into doing something more ordinary (drying the dishes). ChoreMonster is a suite of web and mobile apps that helps make chores fun for kids. Mom and dad assign point values for different chores. When kids complete chores, which parents have the authority to verify, they earn points that can be cashed in for rewards like ice cream, pizza, games, or fun outings like a trip to an amusement park. 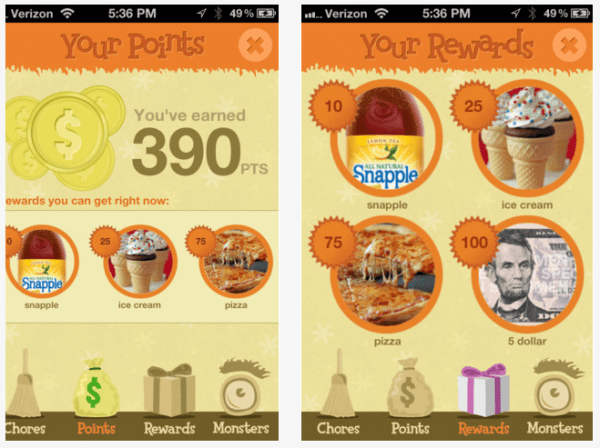 Children have their own dashboard where they can see how close they are to earning prizes. AND they can play with interactive monsters. Parents can set up a chore schedule so they don’t have to nag for things to get done. The system of points and rewards is hanging around, but technology helps kids grasp the joys awaiting when chores are finished much quicker. Forget the charts and stars and abstract promises. 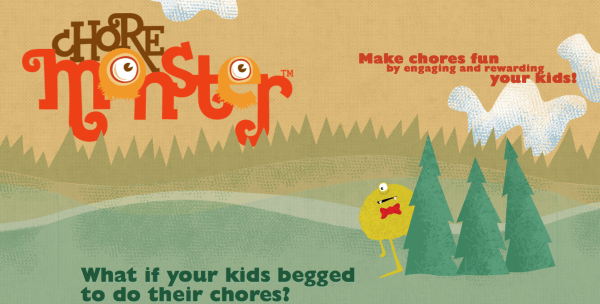 ChoreMonster gives kids the power to not wait on parents to decode rewards. There’s reason to believe kids might even tidy up independently and build up positive associations from taking responsibility for chores. 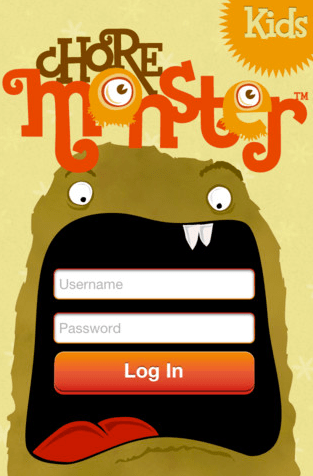 As an additional side benefit, ChoreMonster gives kids a jump-start on using technology (for the few who haven’t learned how to use mobile devices or a mouse already). ChoreMonster is free to use. However, a premium version – the Monster Carnival ($4.99 per month) – gives kids extra motivation with the opportunity to win monsters. Each completed chore results not only in points, but a ticket to the carnival. This gives kids the chance to win more monsters, which adds an exciting layer of gaming to the virtues of lending a hand. ChoreMonster emerged from under the bed in Cincinnati, Ohio. Co-founders Chris Bergman and Paul Armstrong started their project by winning the top prize at the Cincinnati Innovates competition ($25,000). They participated in the Over-the-Rhine accelerator, and closed a $775,000 round of seed funding just before the New Year, led by CincyTech. For more information, visit ChoreMonster.com.